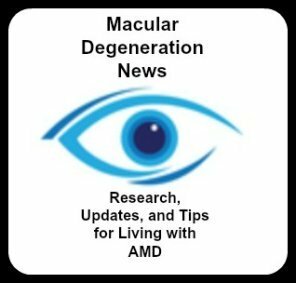 Macular degeneration aids for grooming and tips to look your best include the use of lighted magnifying mirrors, sense of touch and pump dispensers . 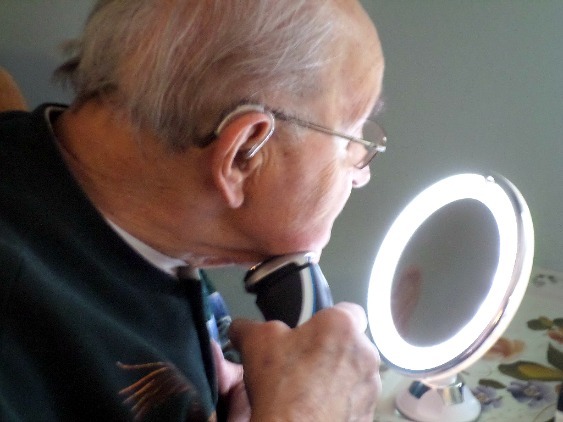 Styling your hair, brushing your teeth, or applying make-up becomes a challenge with diminished or blurry vision, but with some simple switches you can find that your morning routine can become less frustrating. 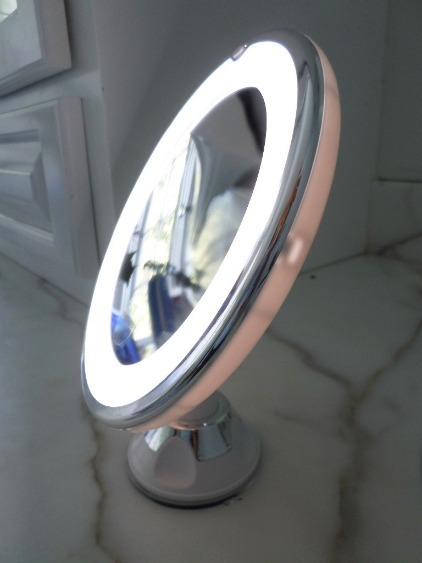 A lighted magnifying mirror comes in handy for shaving, styling your hair, or applying make-up. My father-in-law uses this battery operated one with a strong suction cup with the ability to rotate and move in just about any direction. These mirrors can come corded and in different styles and sizes. The mirror in the picture is 5" but with the lights and rim it measures 8". It takes 3 AAA batteries which makes it cordless so you can use it anywhere and because it folds down flat it's easy to take with you when traveling. Replace your razor with an electric or rechargeable battery operated razor for less nicks and cuts. Use the sense of touch to find places that you've missed. Some rechargeable, cordless razors can be used in the shower if you find that would be easier and less clean up in the sink. 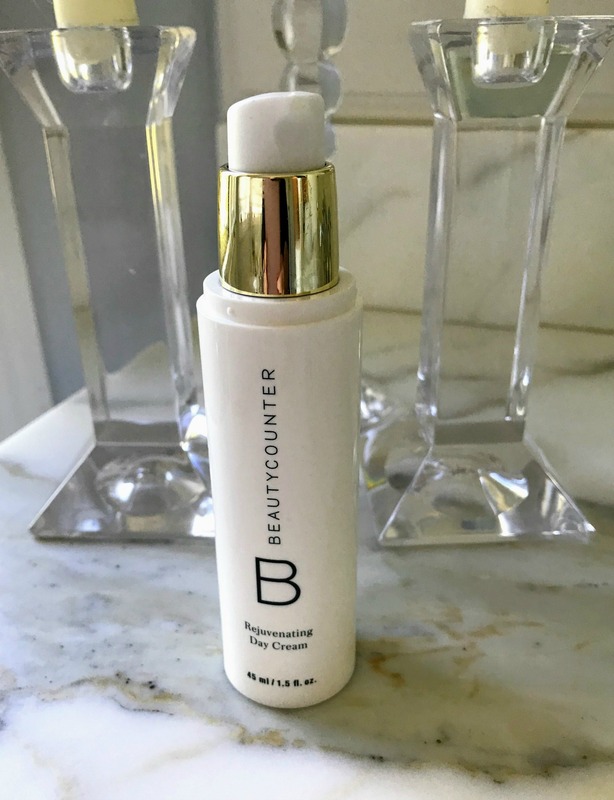 Use a shampoo and conditioner that comes in a pump so there is no need to open and close a cap ( or drop the cap and not be able to find it) or over pour. These large pump bottles are 40 oz which will last you a really long time. 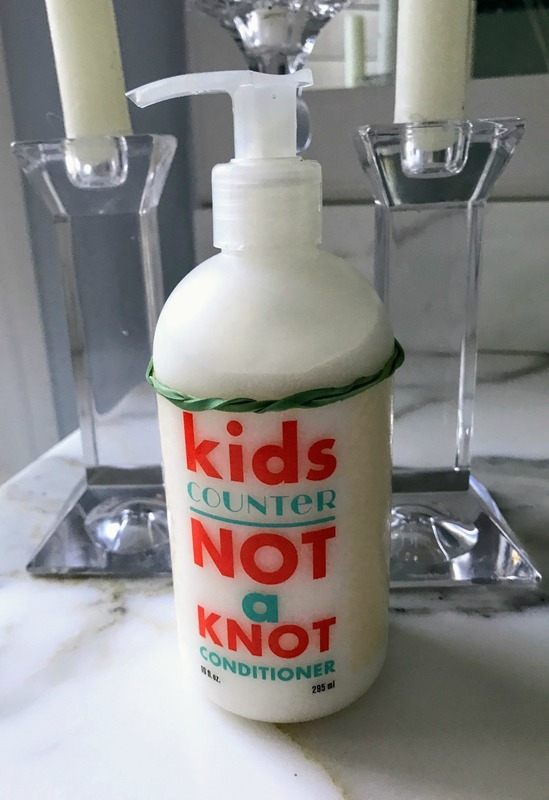 Put a rubber band over one of them to use your sense of touch to distinguish the shampoo from the conditioner. If you have your own favorite shampoo and conditioner replace the caps with universal pumps. These can be trimmed if they are too long. Find a body lotion that comes in a pump. It's easy to get out just the right amount. Keep your personal care products in the same place so they are easier to find. Have a designated spot for your lotion, eye cream, or toothpaste. For better oral health and for ease in charging, we bought the Philips Sonicare Diamond Clean Rechargeable toothbrush. 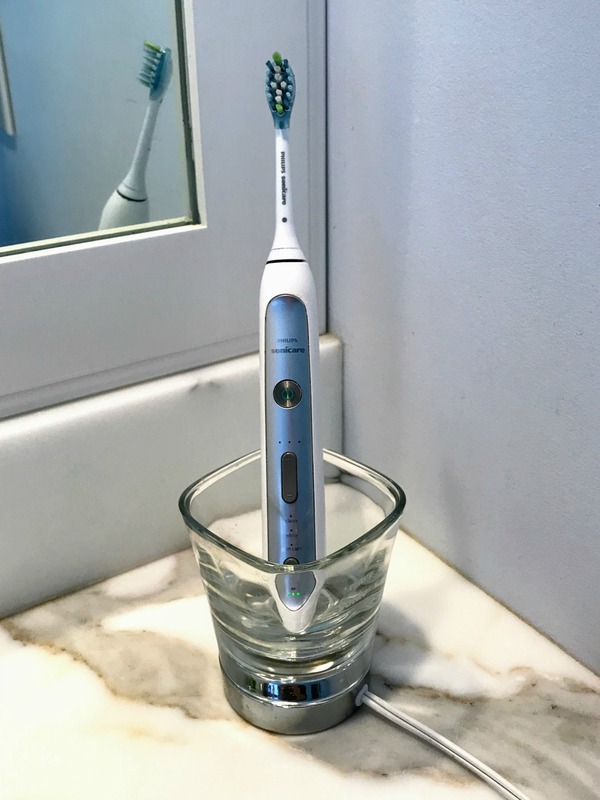 Simply place the toothbrush in the glass (which is plugged into an outlet) for easy charging. Put a contrasting color washcloth under it so you can see or find it easier. The on/off button is easy to feel. Use a toothpaste that comes in an upright dispenser so again you can get just the right amount. 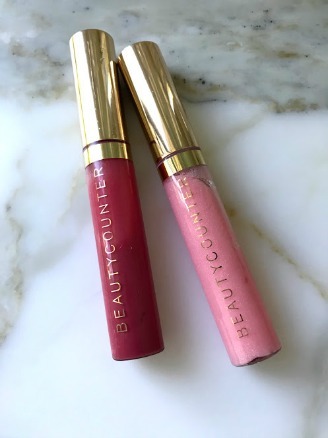 Use lip gloss instead of lipstick so you don't need to worry if you've gotten your color in just the right place. You will need to reapply more often, but it's easy to do. 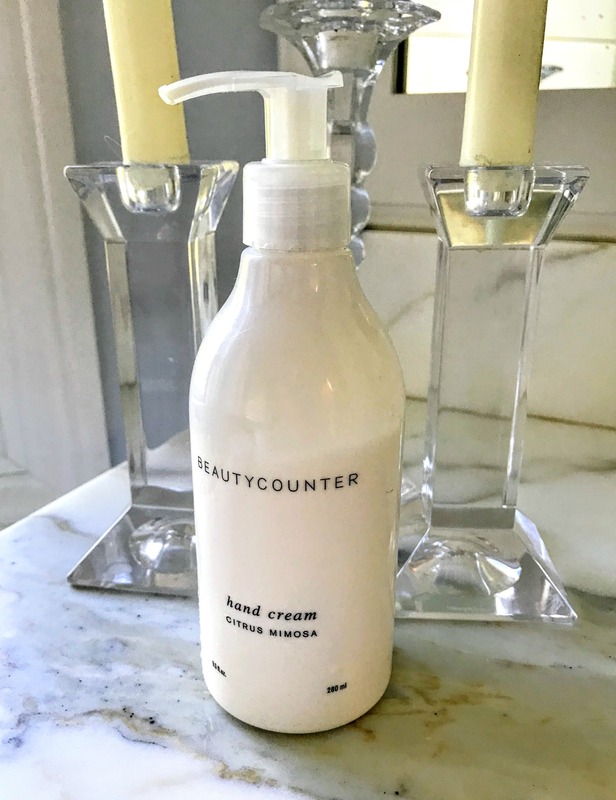 Again find a face lotion that comes in a pump dispenser so you don't need to fumble with taking on or off a screw cap. If you need the sense of touch to identify it, use stick on bumps or rubber bands. Easy dispensing and sense of touch, along with light and magnification can help you feel confident in your appearance when you leave the house.